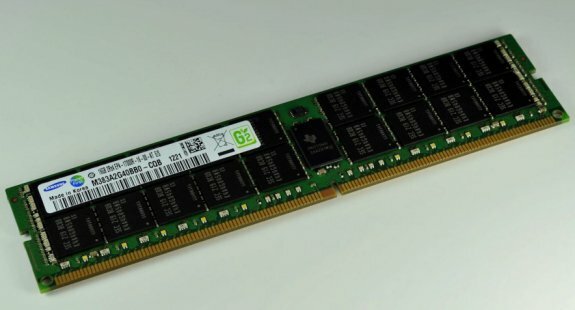 Samsung announced it sampled world's first 16GB DDR4 server memory module! Samsung Electronics Co., Ltd., the world leader in advanced memory technology, today announced that it has begun sampling the industry’s first 16-gigabyte (GB) double data rate-4 (DDR4), registered dual inline memory modules (RDIMMs), designed for use in enterprise server systems. Using 30nm-class* process technology, Samsung sampled new 8GB and 16GB DDR4 modules in June, in addition to providing them to major CPU and controller makers. The modules will bring the highest density and performance levels to premium enterprise server systems. Samsung previously introduced the industry’s first 30nm-class 2GB DDR4 module in December, 2010. Employing new circuit architecture for computing systems, DDR4 technology boasts the highest performance among memory products available for today’s computing systems, which by next year will reach twice the current 1,600 megabits per second (Mbps) of DDR3 based modules. Also, by processing data far more efficiently at a mere 1.2 volts, Samsung’s DDR4 modules will reduce power consumption by approximately 40 percent compared to its predecessor DDR3 modules operating at 1.35V. Samsung has been leading the advancement of DRAM technology ever since it developed the industry’s first DDR DRAM in 1997. In 2001, it introduced the first DDR2 DRAM, and in 2005, announced the first DDR3 using 80nm-class* technology.